It was 1989-1990. I was an exchange student in the US from India. Let me rephrase that, “I was a poor exchange student in the US from India.” I used to survive on $75/month. My boarding, meals, and all other needs were provided by the host family including indulging in the American lifestyle as a teenager at 17 years old. Of course, we had our rules, the 4 – Ds – no drinking, no dating, no driving, no drugs which we all followed in our batch of exchange students. But that did NOT stop us from reveling in the American lifestyle as a teenager, thanks to the Americans I got to know – very caring and very compassionate. It was a time when there was a sense of respect for basic human decency and dignity. 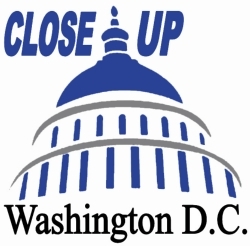 I was in high school and one of my host brothers was enrolled in a program called “Close UP” which allowed you to engage with other like minded students and discuss politics and how the government functions and laws are made, etc. The bonus was sometime in February, a class trip would be planned to go visit Washington, D. C. and get a “Close UP” look how the government works – a visit to the Senate, the House, the White House and of course other memorable sites like the Washington Monument, the Jefferson and Lincoln Memorials, the Smithsonians, etc, etc. That was quite a dream. The plan was everyone in the group would get together on weekends and sell food and drinks at the high school football games. Whatever money we would make and the time each one put in would be used towards paying for our share of the trip. So it was more like asking for donations. People were generous. A lot of people once they found out why we were there paid more as an “extra donation” and wanting to help out. It was a great learning experience about American culture – Honesty and Helping Strangers or otherwise known as random acts of kindness. A few months passed by. I ended up attending EVERY home game but only managing to see the AWAY games. We all had to book our tickets and a meeting was called for the group to divvy the “fund” as per everyone’s appropriate share. My share ended up being the biggest as I had put in the most hours – simple math. However, it was still more than a few hundred dollars short of the total funds needed to pay for the trip to DC. My heart was there, I had followed the rules and worked hard but still could not make it, I was a poor exchange student. I was happy and asked the co-ordinator to divvy up my “share” among other students as I could not make the trip due to shortage of funds. She understood and we had got to know each other well also over the months we spent together. Whether it was coming in a little early for setup or staying a little late for cleanup. A few weeks later, the co-ordinator called me to her office and said I was going to DC with the group. I was like YEAH but then HOW? She said she talked to a few other parents whose kids were also in the group and explained the situation and they all pitched in and made up “my share” for the cost of the trip. There it was, indulging in American lifestyle – compassion, generosity and honesty being respected. Thats the America I used to know. Respect for hard work and respect for basic human dignity through compassion. Today in the same America, I do not see any room for truth and honesty. Compassion and Generosity are BUZZWORDS for some special interest group wanting something “special” only for their interest. Let others be excluded. The claim is justice is based on truth and facts, then where is the justice in deliberately making an innocent, voiceless child STATELESS? Where is the justice in deliberately splitting two siblings for sake of one infertile person? We have every sympathy for infertility and let our actions speak for themselves but are others EQUAL humans with EQUAL human rights? The claim that no one is above the LAW, then how can someone continue to blatantly violate the LAWS with no legal repurcusions? Sure the world is NOT ideal. But the belief is America cares and there is respect for truth and respect for basic human dignity and compassion. Really? Thats NOT the America I Know today. When we had visited DC as part of the Close UP program, we were divided into groups. There were students from all over the US there. Each group was given an “international topic” to discuss and we had to present the pros and cons of the prevailing US policy, right there under the nose of the US government in DC. Our group was given Nicaragua and the Sandanistas. I had heard of Nicaragua in geography class but had no idea who Sandanistas were. In a few days through our joint efforts and research, our group learnt a lot about the Sandanistas. And the best conclusion our group came up with was for the US to leave it alone. The average age of our group was 17 or 18. Rest is history. I understand that most people are NOT infertile or dysfertile. They may never know what it feels like to go through an IVF cycle and wait for the news. They may never know what it takes to save up for the IVF cycle. They may never know the lies and secrecy involved in having an IVF child. 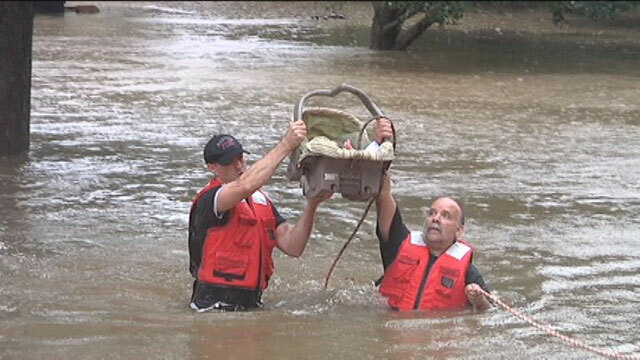 The American people I know show compassion for others, have respect for basic human decency and dignity. The American people respect truth and respect for prevailing laws, at least that’s the America I used to know.